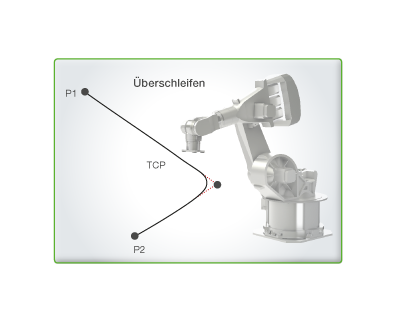 KeMotion with its five core components stands for the fast, open and customizable automation of robots and machines in the Industry 4.0 era. 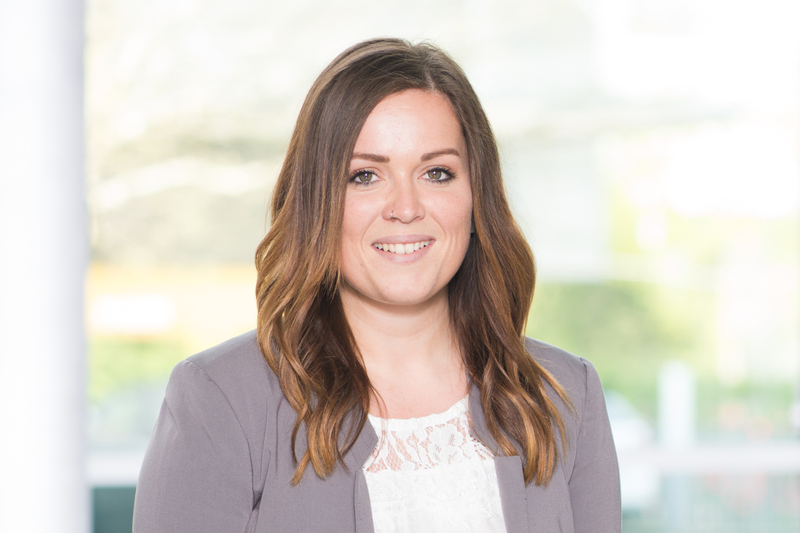 Thanks to the scalable hardware in combination with many high-performance technology functions and turnkey software packages, the user can quickly and easily attain the optimum solution. 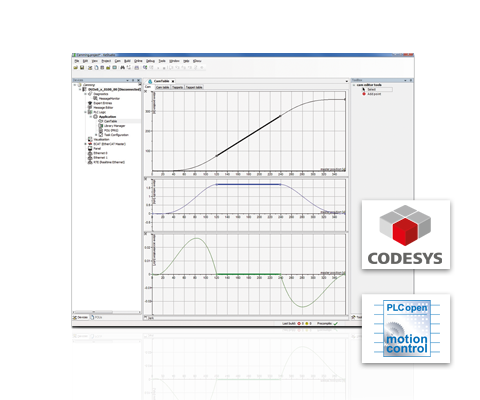 The turnkey robotics solution from KeMotion scores with unique high-end technologies for maximum performance and precision. 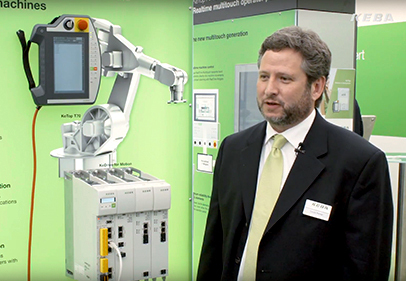 More than just a robotics solution – with KeMotion the entire machine can be controlled. 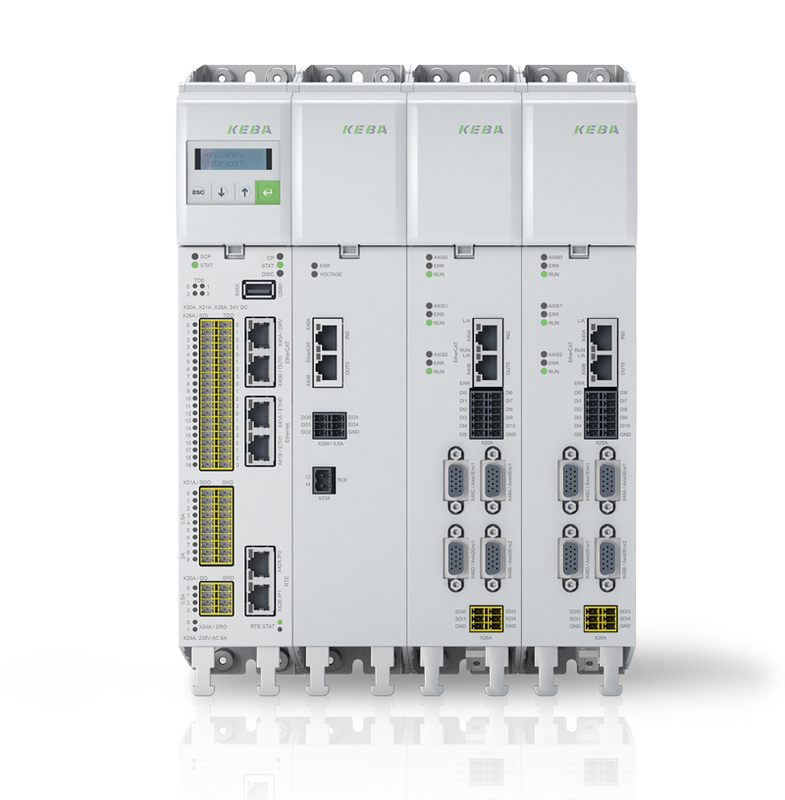 The modular, all-in-one KeDrive for Motion system with optionally integrated safety controller is only half as big as comparable systems. 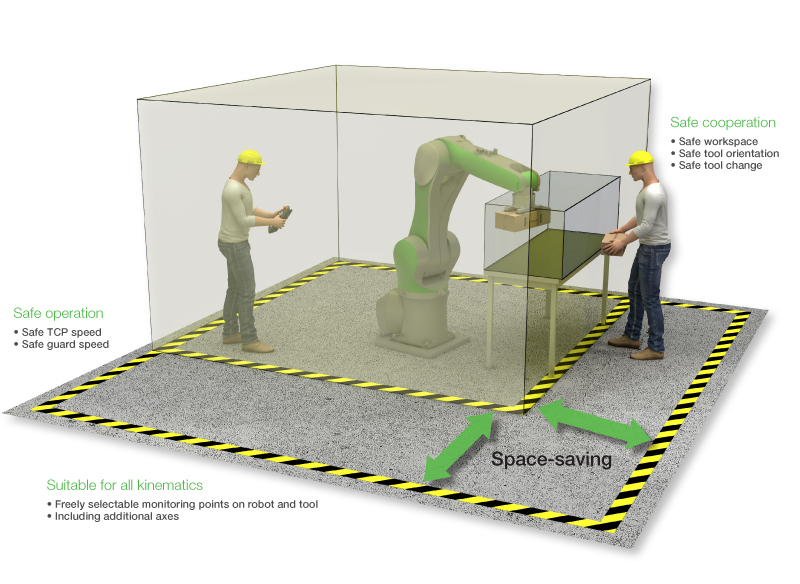 KeSafe is the space-saving safety solution for PLC, single axes and robotics that guarantees maximum safety for man and machine. 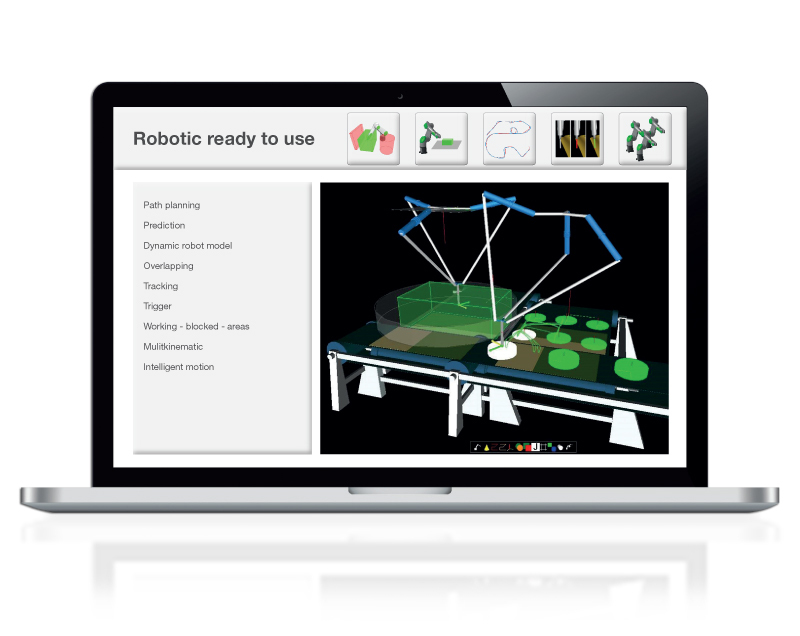 The ready-to-use robot HMI from KeMotion and a wide range of KeTop devices facilitate simple and fast operation. 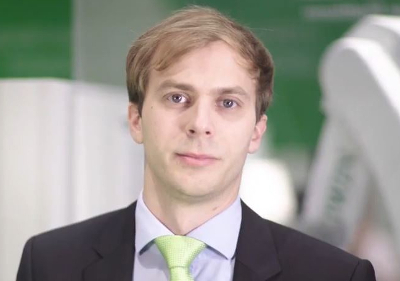 Short development times, application-optimized machine design as well as easy and fast commissioning are fundamental requirements of machine manufacturers. 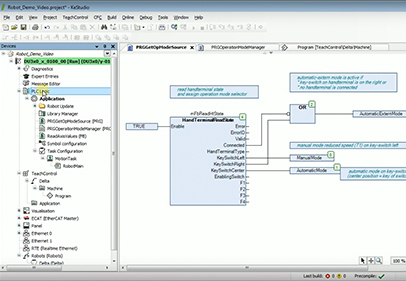 In addition, modern production systems must operate economically. 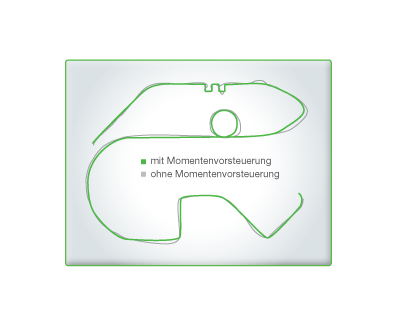 The key factors here are maximum machine performance with minimal energy consumption. 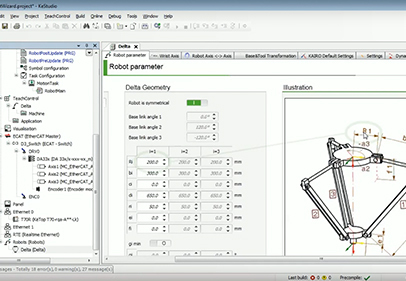 KeMotion offers numerous high-end technologies that ensure this. 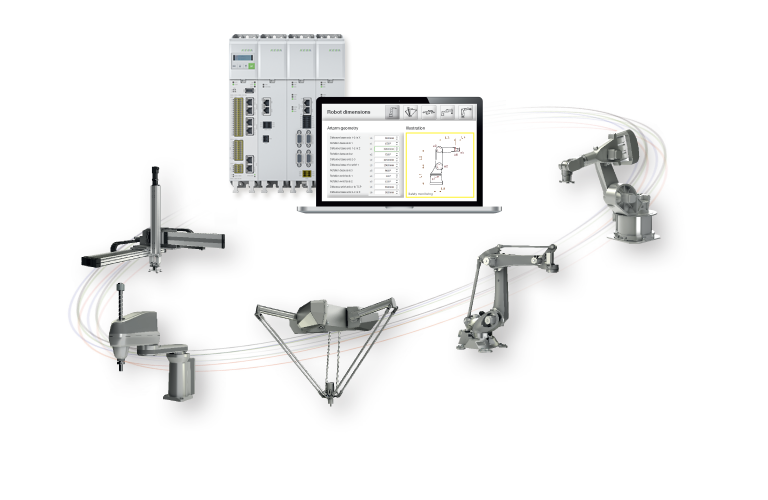 The KeDrive for Motion platform is a highly flexible, perfectly matched combination of control, safety controller and multi-axis drives for optimally solving a wide range of control and drive tasks. 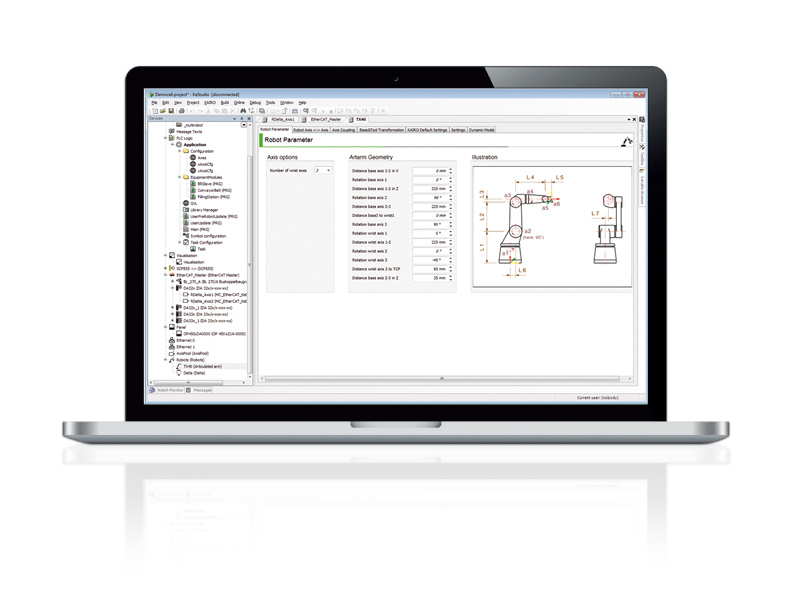 Thanks to the modular system setup, it is also possible, for example, with a decentral control cabinet concept to use the drive modules remotely from the control. 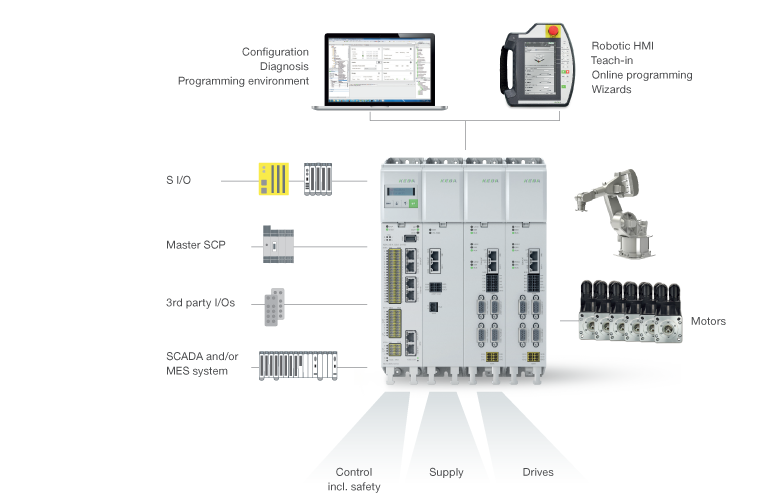 The multi-axis KeSafe safety controller, which can optionally be directly integrated in the control module, offers safety functions for logic, single axes and robotics. 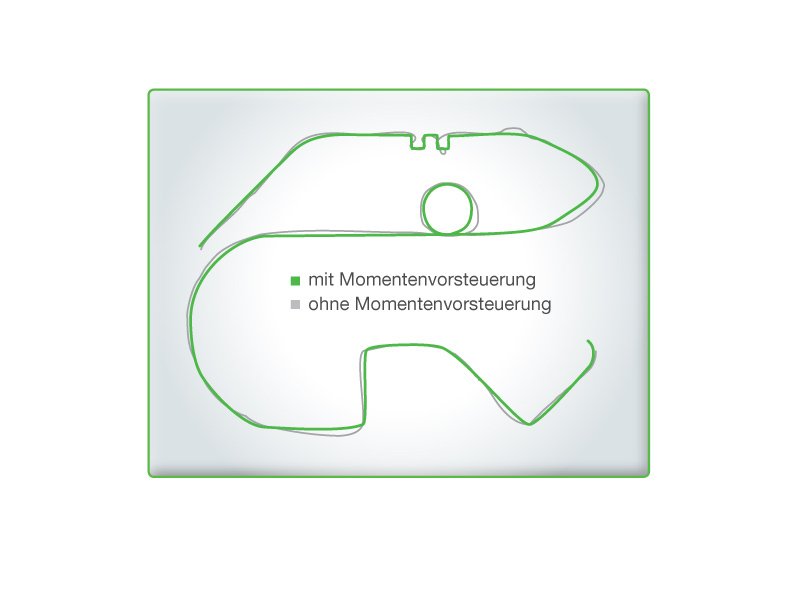 Outstanding ergonomics and intuitive operating concepts are the key factors for efficient operation and monitoring. 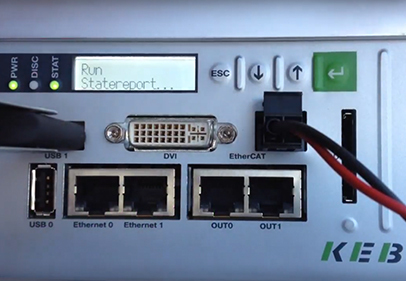 With the KeTop devices, both high-performance, application-optimized hardware as well as the corresponding, user-friendly software are available. 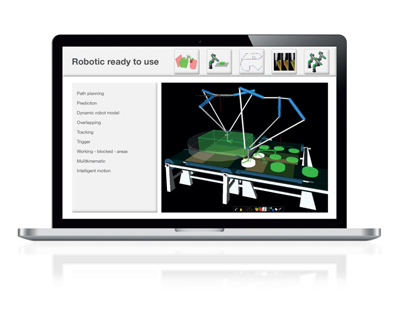 The turnkey TeachView robotics user interface enables the time-saving creation of robot programs - this guarantees optimum results in record time. 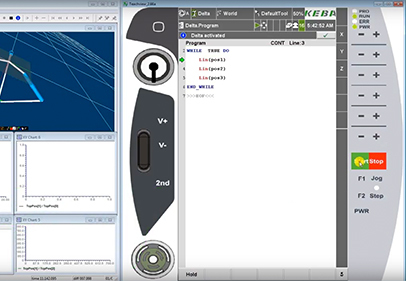 In addition, various KeTop handheld operating devices optimized for the given application are available for the intuitive teach-in. 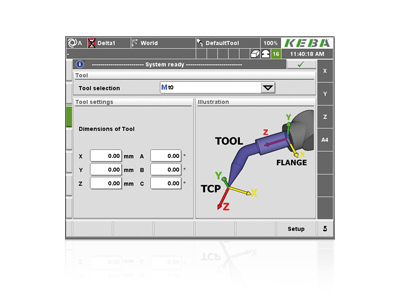 With KEBA, intuitive user interfaces only need to be created once with the user-friendly KeStudio automation tool, and can subsequently also be used for mobile as well as stationary operating devices. 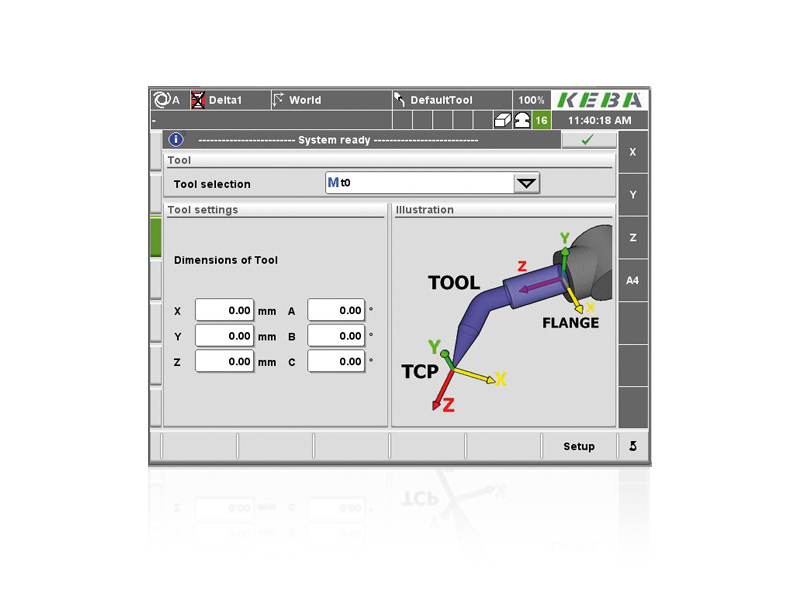 The freely programmable KeSafe safety controller makes machines and robots with any type of serial kinematics safe. 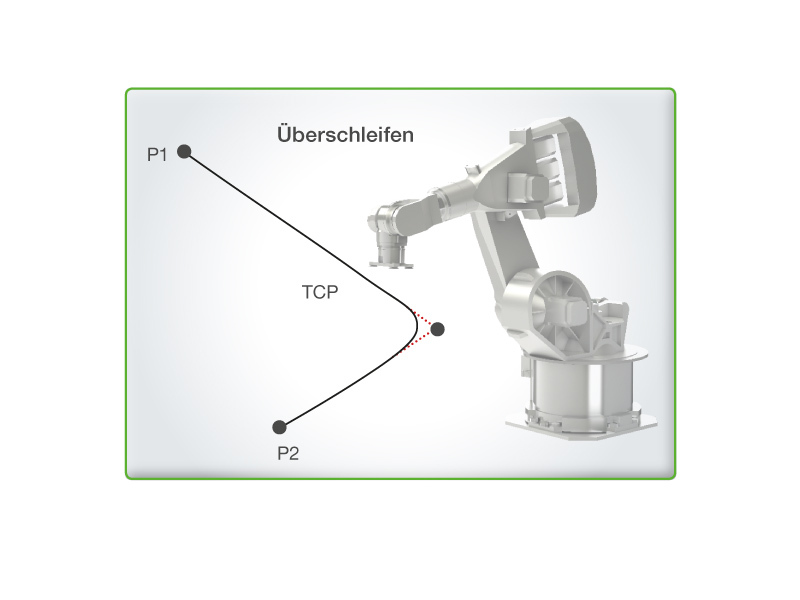 KeSafe guarantees the safe monitoring of the robot working areas, the speed at the TCP and freely definable robot points. 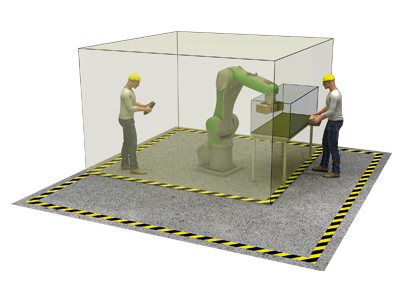 Safety guards for safe enclosure can be mounted closer to the robot, which makes possible space-saving cells with minimal footprint. 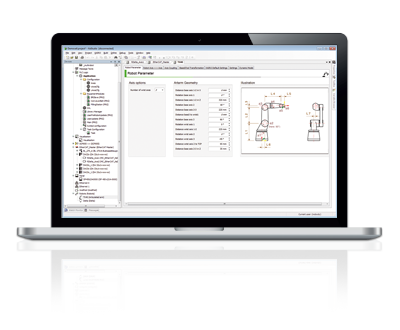 Furthermore, scalable safety technology is available in 3 configuration levels and all safety-relevant norms and directives are satisfied.